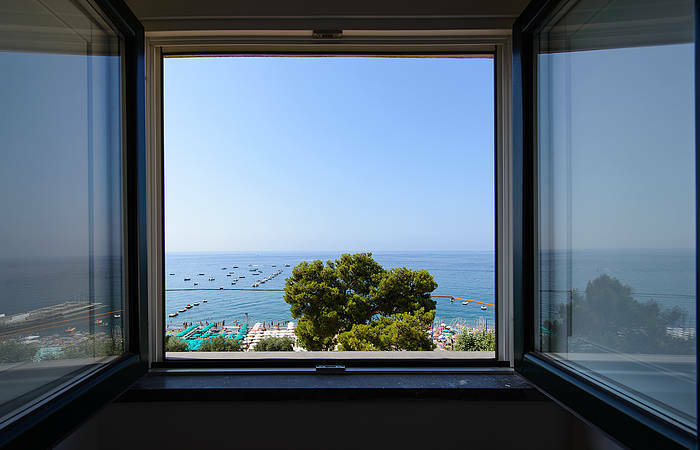 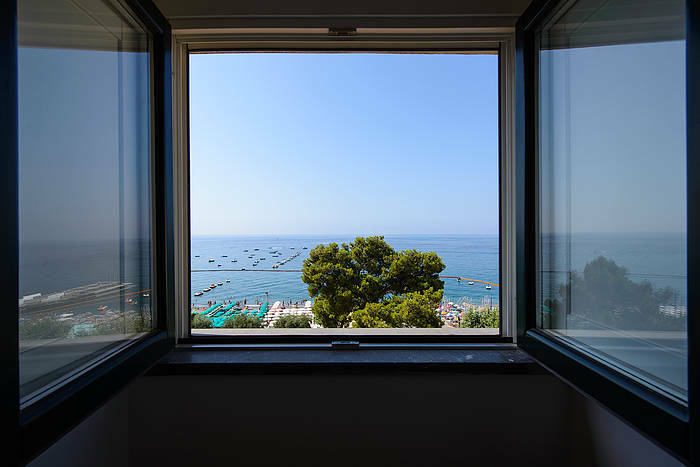 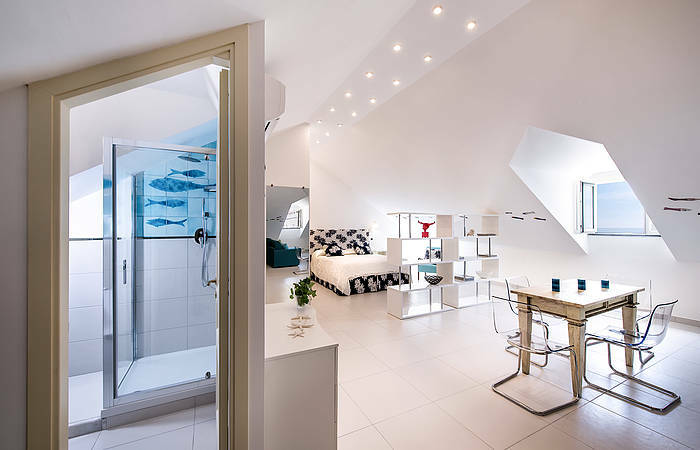 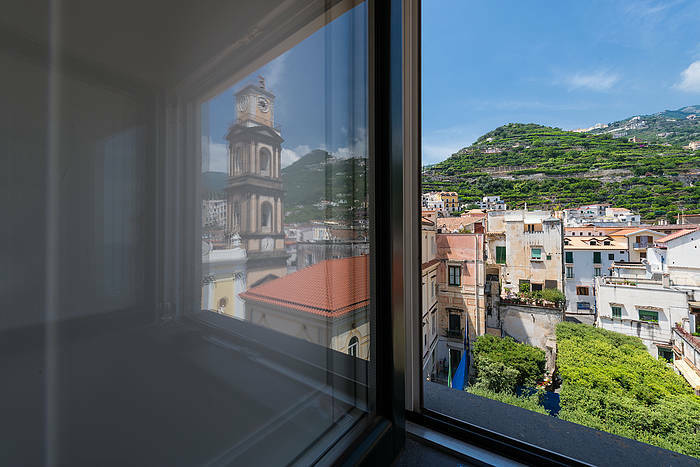 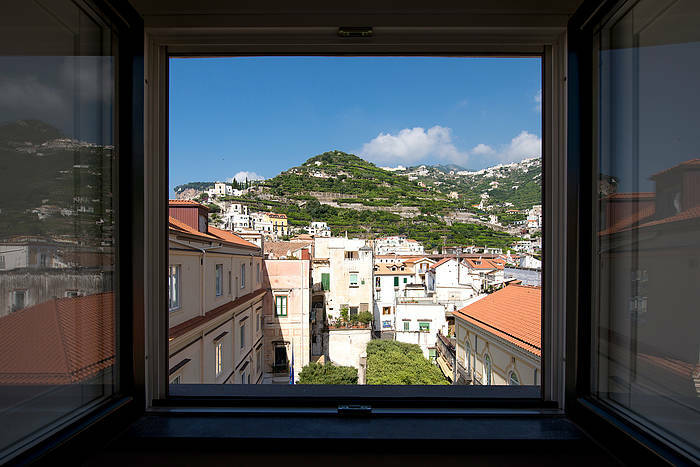 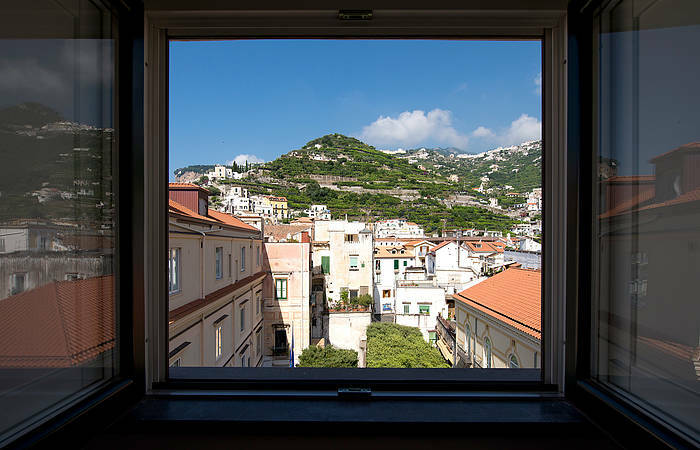 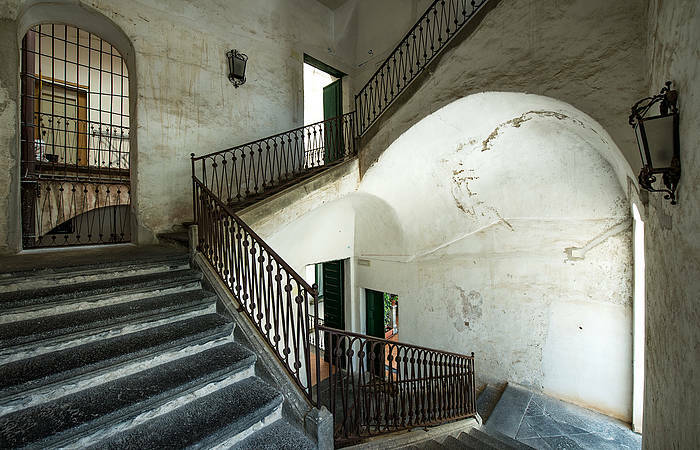 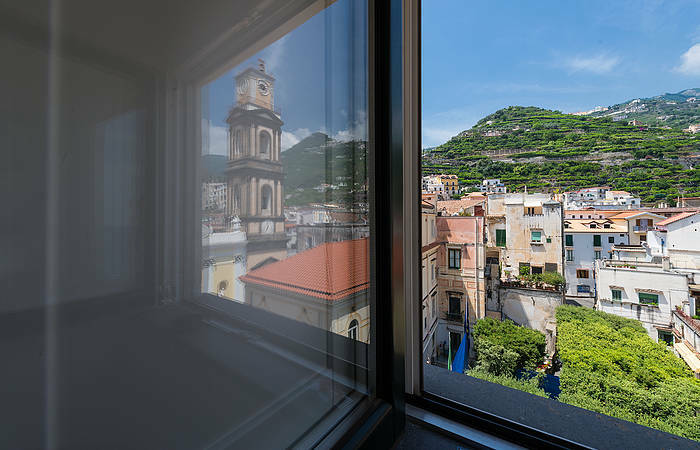 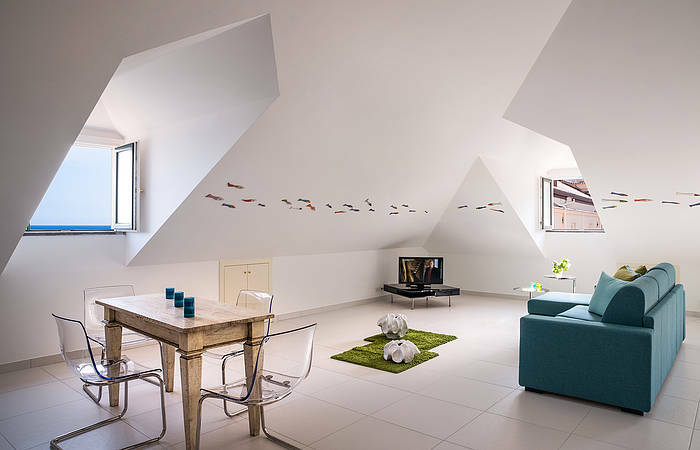 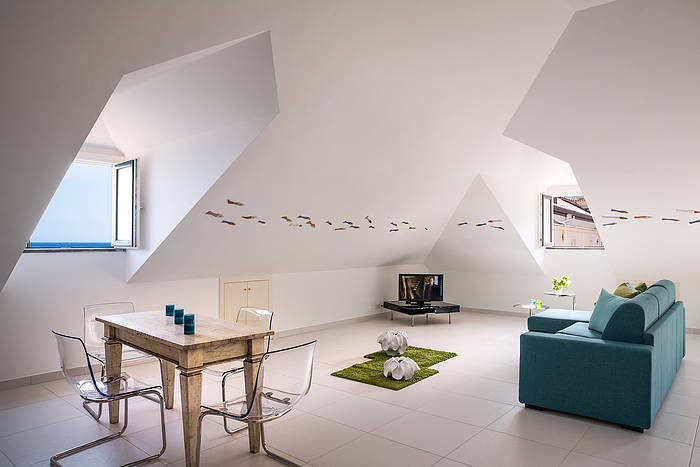 Suite Fragolina is an open space suite located in a charming restored historic palazzo in Minori, just across from the village's wide stretch of sandy beach. 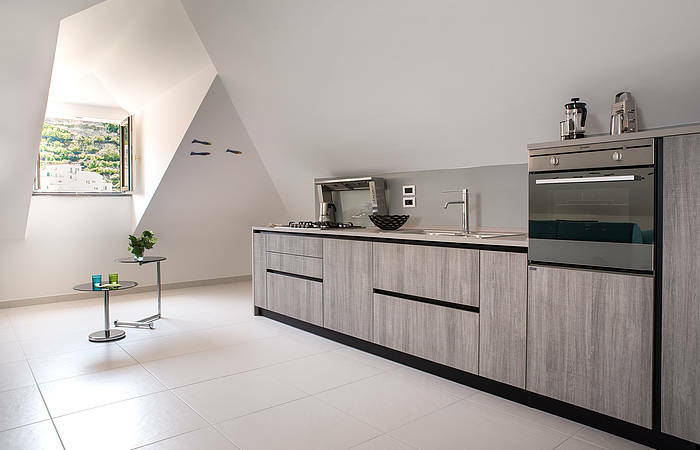 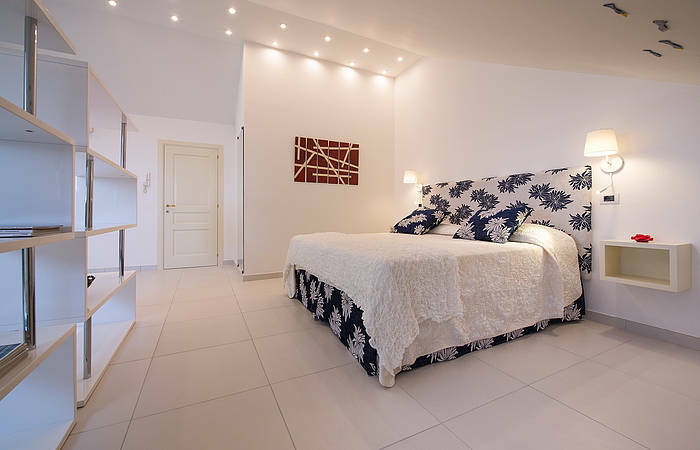 This self-catering gem is the perfect choice for a relaxing vacation at your own pace and in total comfort on the Amalfi Coast. 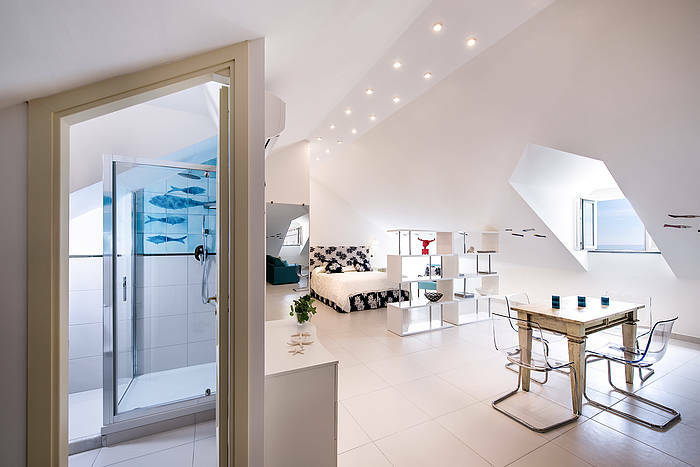 The suite was recently renovated, and offers guests an elegant and roomy open-space loft just steps from the water's edge. 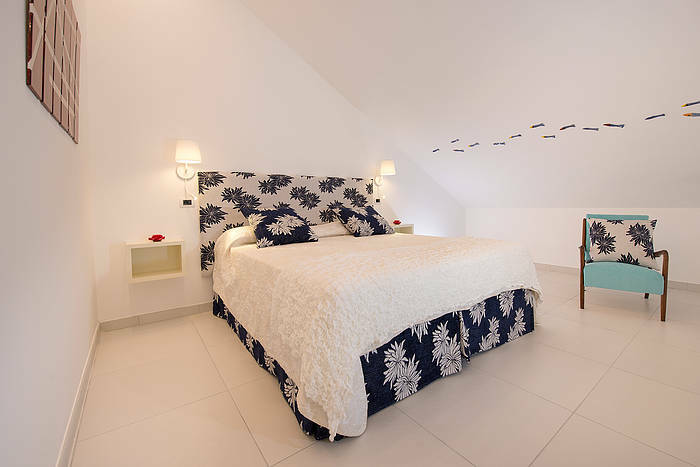 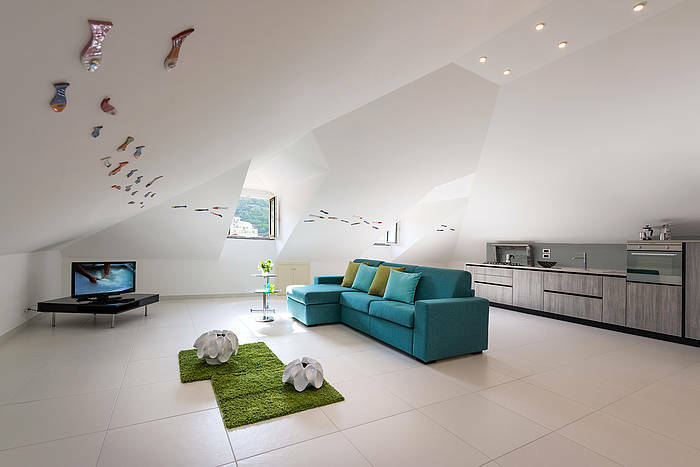 The suite includes a living area with a view of the sea, a dining area with eating space for four and a modern fully equipped kitchen, a bedroom with a queen size bed''', and a bathroom with an enclosed shower. 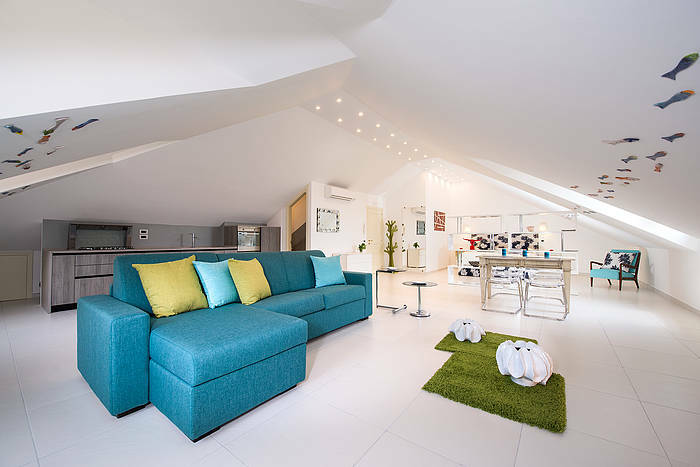 There is also a double sofabed in the living area, which adds sleeping space for an additional two guests. 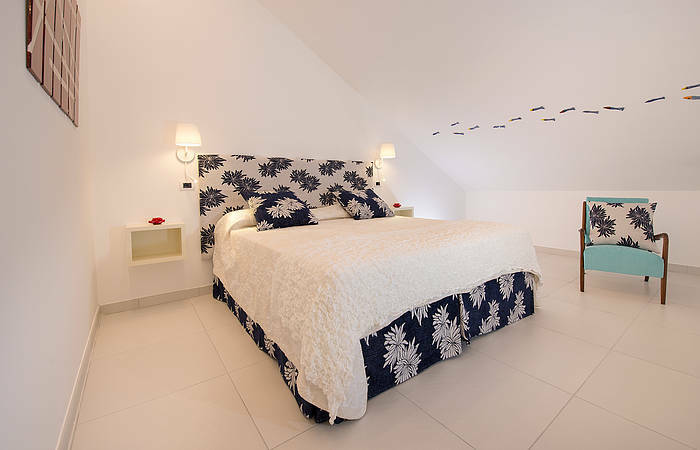 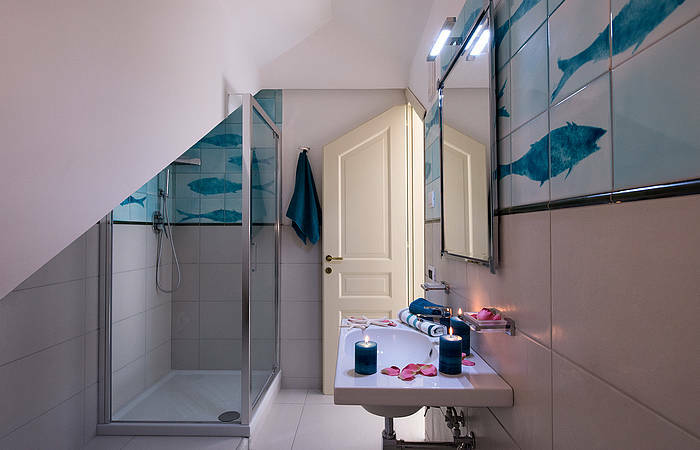 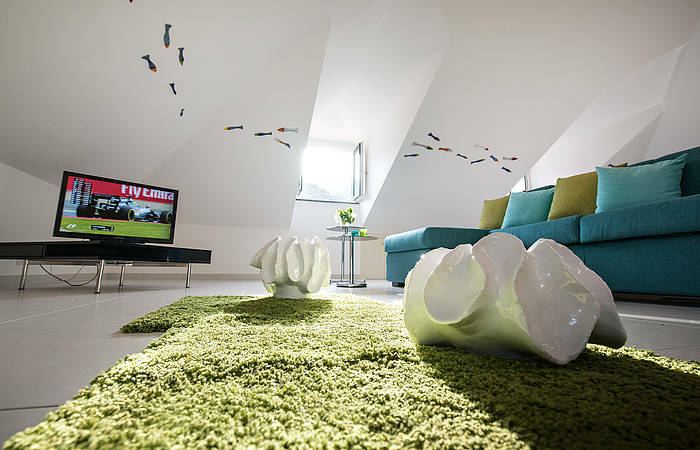 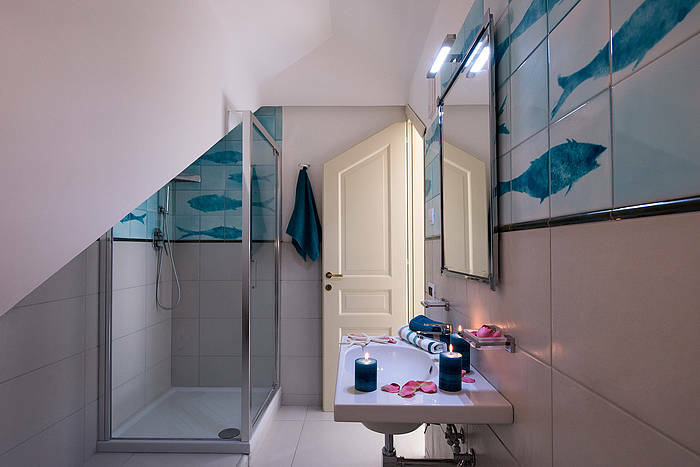 You'll love this stylish loft with a sea view located on the beach in Minori. 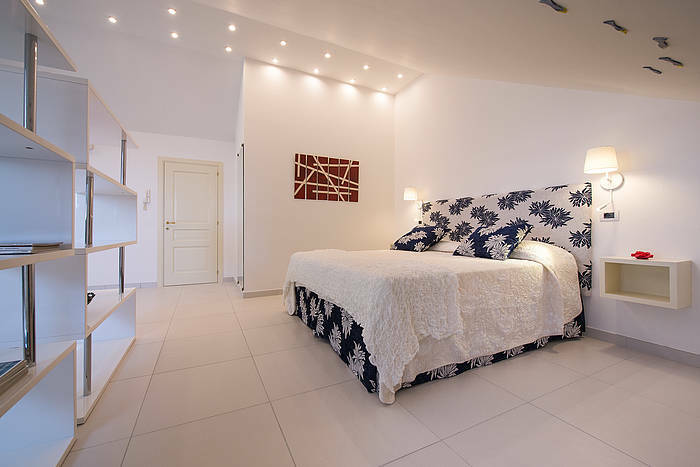 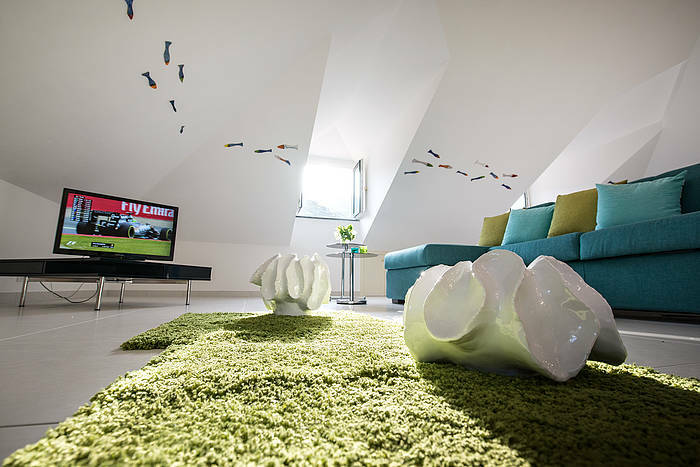 Suite Fragolina includes wifi, tv, stereo, air conditioning and heat, a washing machine, dishwasher, and microwave oven. 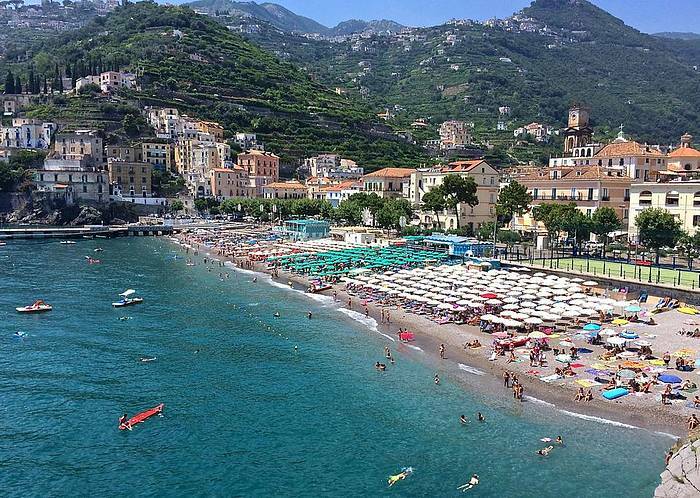 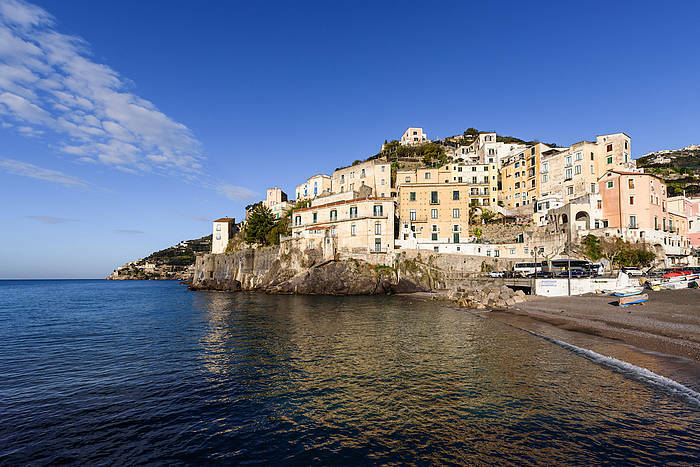 Fragolina Suite's location is perfect: the Minori beach is just steps away, as are cafès, bars, shops, grocery stores, and anything else you may need for a flawless stay. 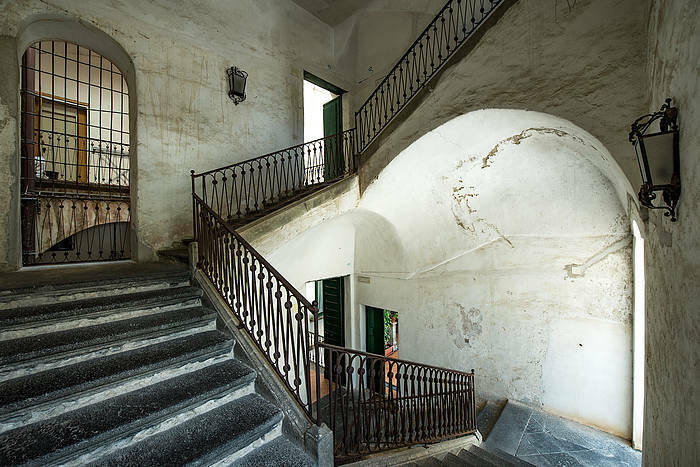 The apartment is located on the 3rd floor, 100 steps with no elevator. On request, parking space at the cost of Euro 20 per day per car (while increases to Euro 25 for a minivan). 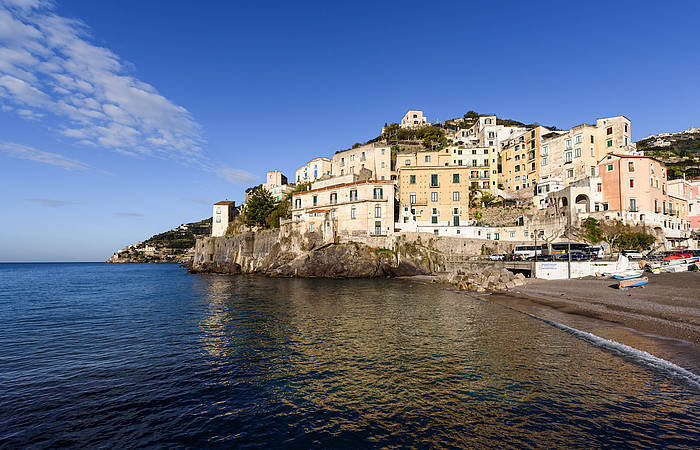 Suite Fragolina is located just across from the beach in Minori, a small fishing village 4 km (2,4 miles) from Amalfi on the Amalfi Coast. 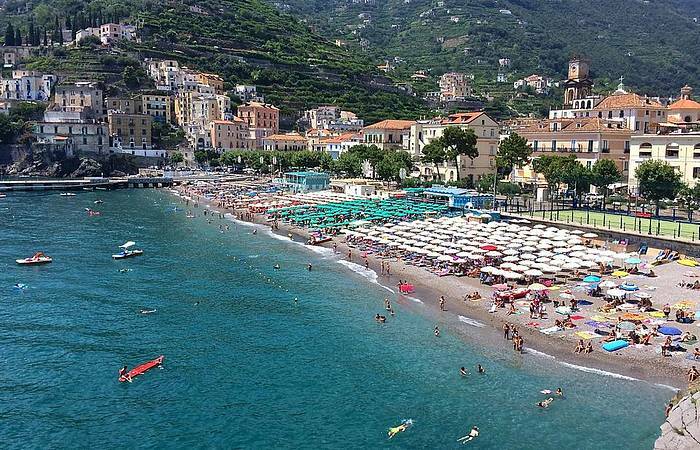 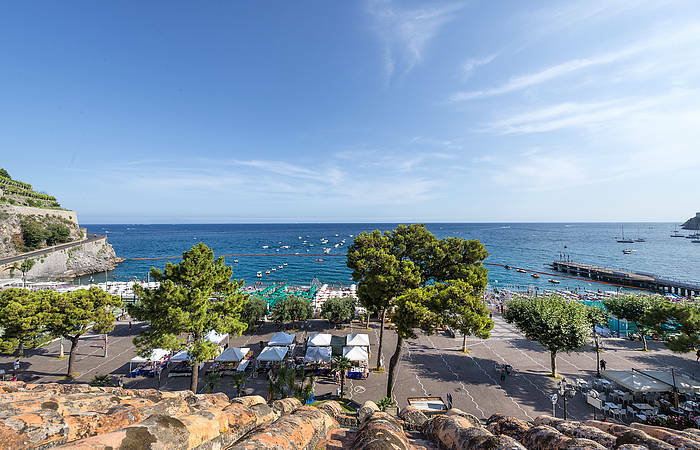 Minori is the perfect base for guests who want to spend their seaside holiday basking in the Mediterranean sun, swimming in the crystalline water, experiencing authentic village life, and sampling the best local wine and cuisine in the area's many restaurants and cafès. 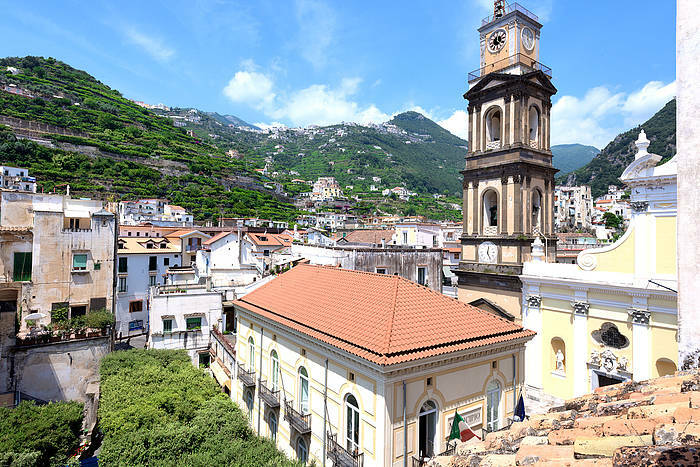 Neighboring Amalfi is can be reached by car, bus, taxi, or ferry; there are also ferry routes to other destinations along the Amalfi Coast, including Positano, Salerno, Capri, and Ischia. 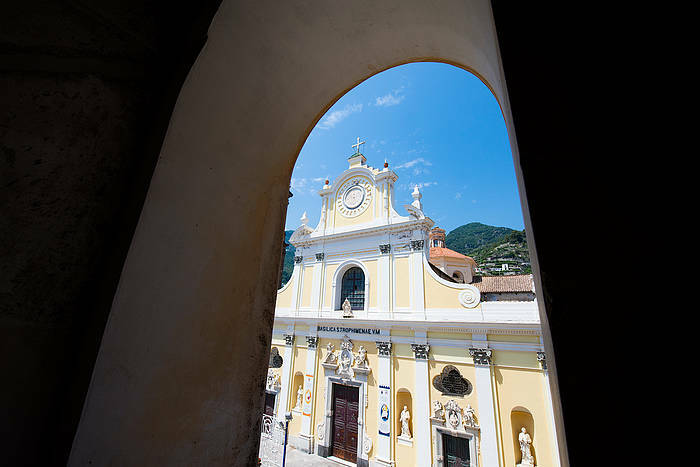 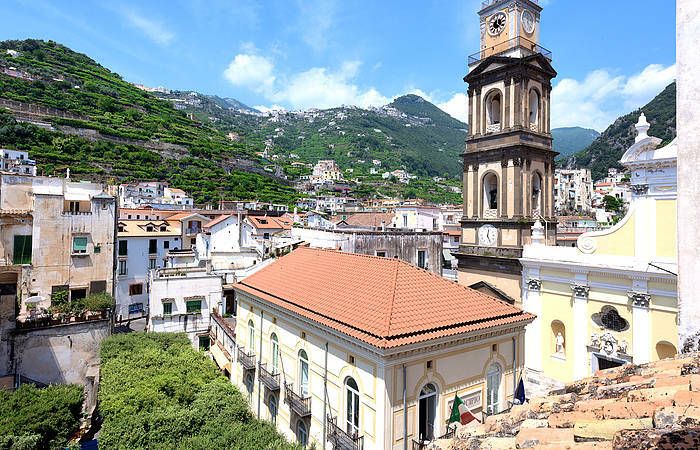 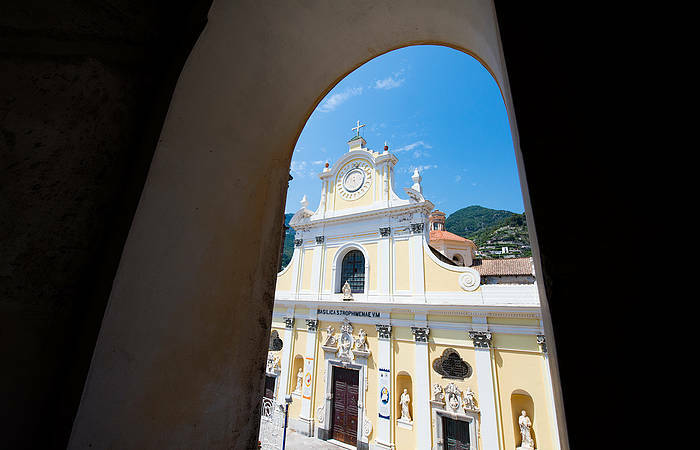 Inland destinations like the town of Ravello can be reached by local bus while Paestum, Pompeii, Herculaneum are easy to reach by car, taxi, or public transportation in about 1.5 hours.